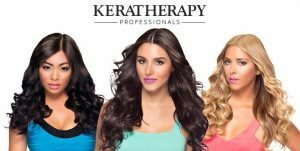 What are the benefits of having a Keratin Treatment? Crimson Expert Stylists agree: Keratherapy is the best product for smooth hair, even in rainy spring! High humidity makes for frizzy hair situations & one of the best ways to ensure a sleek rainforest hike or spring in a city sans ponytail is a Keratin Treatment. & Keratin Treatments last up to 16 weeks! 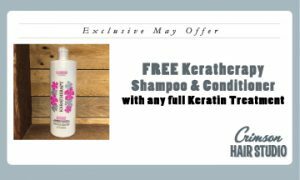 with any full Keratin Treatment! 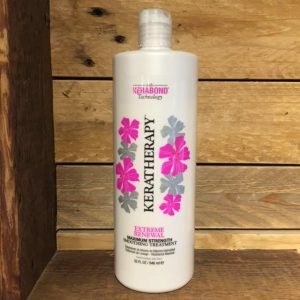 Keratherapy Shampoo & Conditioner work together to gently cleanses & hydrates hair & can be used daily!